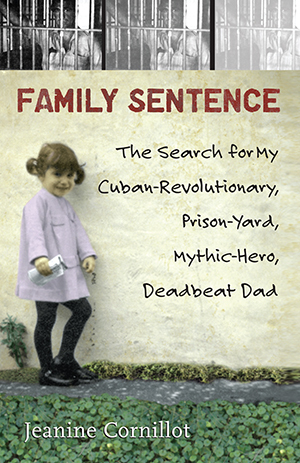 Jeanine Cornillot was just two years old when her father, a former Cuban revolutionary turned anti-Castro militant, was sentenced to thirty years in a Florida prison for political bombings. Although he was physically absent throughout her childhood, his presence loomed large in her and her brothers’ imaginations. Keeping his incarceration secret outside the family, each child conjured a different father, yet all believed in his mythic stature as a hero. Jeanine’s Irish-American mother struggled to support the family on her own in suburban Philadelphia and send her kids to a school where the nuns questioned her ability to raise four children without a father. Summers, she put Jeanine on a plane to Little Havana, where she lived with her Spanish-speaking grandparents and bilingual cousin-a sometimes unreliable translator. It was there in Florida that she met her father face to face, in the prison yards.